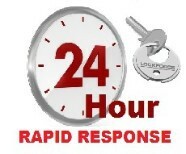 If you find you’re self-locked out of your home whether it is 12 in the afternoon or 12 at night Ricky your local 24 hour locksmith is there to cater for your needs. At LockForce we use the latest training and equipment to make sure we can gain access to your property causing no damage. Here at locksmiths in Scunthorpe we can cut keys in the van whilst you wait, so if you require extra keys with your locks we can do this on site. We stock nearly all key types so if you’re in need of that key in an emergency give locksmiths in Scunthorpe a call on 07740003187. One key fits all locks in your home!!!! Would you like one key to fit all the locks to your home and out buildings? Here at Locksmiths in Scunthorpe Ricky can do this for you. So your one key will open your Front door, Back Door, Patio Doors, Shed and Even your bike locks. This is possible even with the highest level of security. So if you’re tiered of carrying around bunches of keys around talk to Ricky at locksmiths in Scunthorpe today on 07740 003 187 about your keyed alike options! Lockforce Locksmiths Scunthorpe also covers Brigg, Barton upon Humber and surrounding villages. Locksmiths in Scunthorpe Window repairs. Local Locksmiths in North Lincolnshire Ricky, is highly trained in window repairs for both UPVC and wooden window frames. So if your problem is with your window locks not working correctly, your window being locked shut. We replace window handles, Locks, Gear boxes and Friction stays. For other services Domestic Locksmiths in Scunthorpe provide CLICK HERE. To contact your local Locksmiths in Scunthorpe by Email ClICK HERE and fill out our form.